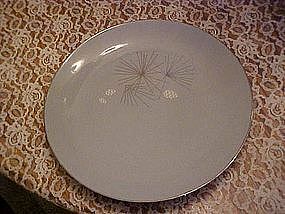 Large 10 1/2" dinner plate in the Silver Pine pattern by Franciscan China. Gladding McBean USA. Silver trim and accents. Very nice condition with no chips or cracks. I have only 3 available. Price is for each dinner plate.